You don't want to unpack your dorm essentials and find that you're missing something. Sure, you have all of your dorm bedding dorm necessities and dorm organization items, but something feels like it's missing from your dorm room decor. You want your college dorm room to feel like home so this can be quite upsetting. Many college students don't know or don't realize that their college dorm room won't have plush dorm carpeting for the floor. Instead, it will have cold linoleum and this dorm room decoration that is missing is a dorm rug. For a dorm room decor that feels complete, add our Fretwork Dorm Rug in Gray and Tan. This dorm decoration has an intricate geometric pattern that will allow you to create a unique look with different design elements through your other dorm room decorations. With the use of neutral colors with tan on gray, this dorm essentials item will also allow you to make your dorm room decor stand out by mixing and matching any color with this dorm item. Not only will you be adding to your dorm room decor, you'll also be adding to the comfort of your college dorm room with this soft dorm item. 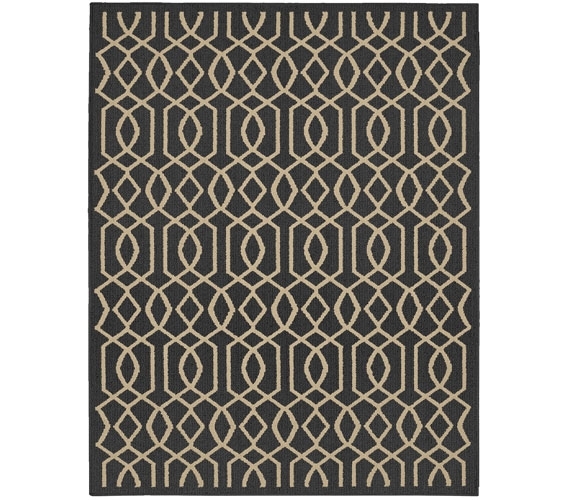 Step onto a more comfortable surface with our Fretwork Dorm Rug in Gray and Tan on your dorm floor next to your dorm bed.